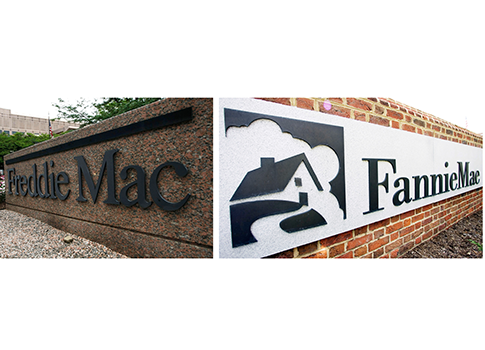 A recent survey by OnMessage Inc. for the American Action Forum found 52 percent of voters view Fannie Mae and Freddie Mac unfavorably and want the organizations phased out. Fifty-six percent of respondents said Fannie and Freddie should go because they "have required massive taxpayer bailouts and should be phased out because homeowners who are struggling to pay their own mortgage shouldn’t be forced to pay for their neighbor’s mortgage too." Fifty-seven percent said they wanted the organizations phased out because, "While the taxpayers were bailing them out, Fannie Mae and Freddie Mac were committing accounting fraud while their executives were receiving millions of dollars in bonuses." Additionally, when notified that Fannie and Freddie received nearly $200 billion in the federal bailout "voters’ opposition to Fannie and Freddie moves to 59 percent, including even 51 percent of Democrats." The poll consisted of 1,200 likely voters in 18 congressional districts across the United States. This entry was posted in Politics and tagged Fannie Mae, Federal Bureaucracy, Financial Crisis, Freddie Mac, Obama Administration, Obama Economy. Bookmark the permalink.